Neat and very sophisticated, the subtle shimmering interplay of light and iridescent colour on this mosaic mirror makes it a timeless Indian pearl guaranteed to delight people of every age. 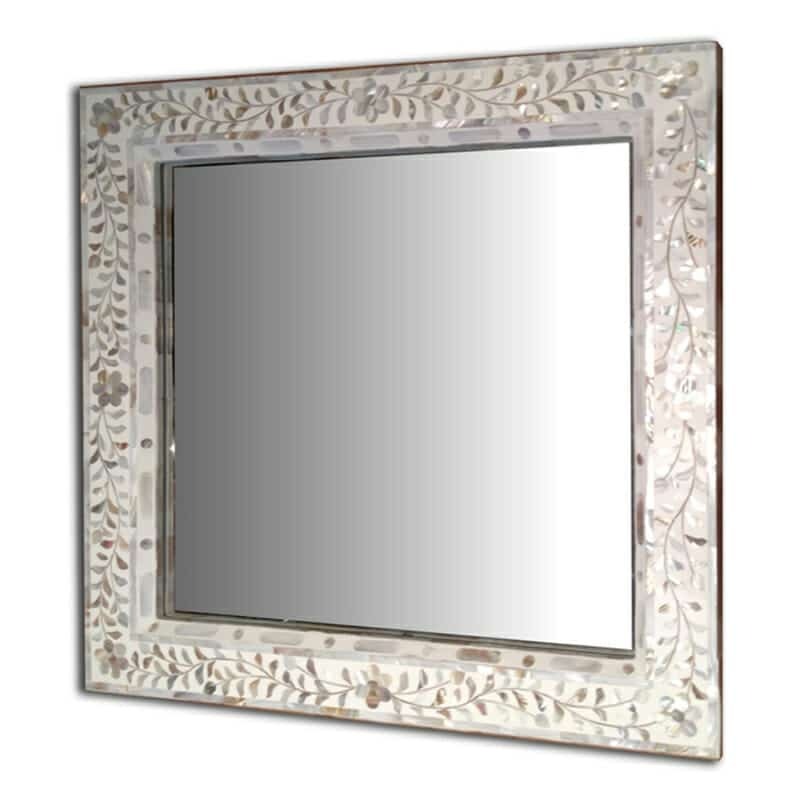 Something to truly be treasured, place this mother of pearl mirror as a feature to accentuate an under stated spot in the house. 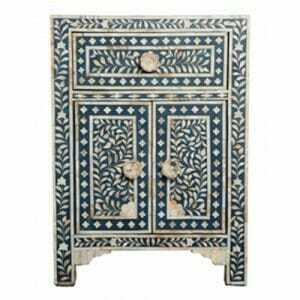 This is an ideal addition to a room where a little detail would lift the eye and add depth, softening neat lines and adding complexity to simple decor. 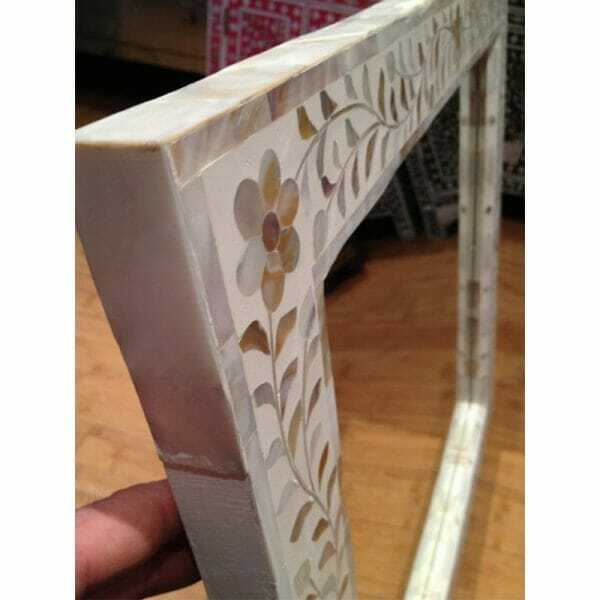 Definitely a conversation piece, you can let your friends know each piece of mother of pearl is harvested from the Indian ocean, cut into thin planes and then carved meticulously by hands that have learnt their arts from traditions with roots dating back to the 10C Rajput empires of Northern India, where the Rajasthani royal dynasties have long encouraged the arts with patronage. 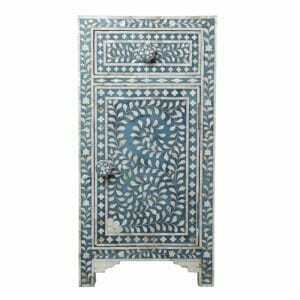 This led to the development of the highest possible standards and the methods for making mother of pearl inlay furniture have been honed and handed down, continuing to flourish in fresh creations that line the royal palaces with new furniture even now. 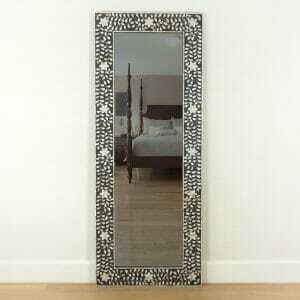 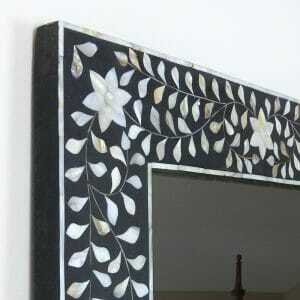 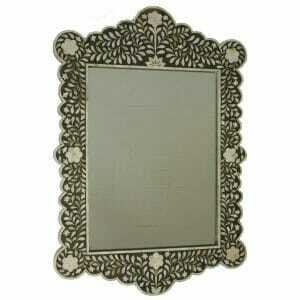 Enjoy a little of the mystery of the orient with an inlay mirror made to last. 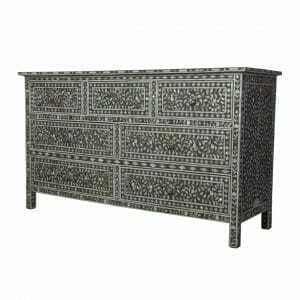 Mother of pearl inlay is carefully set in sustainably harvested sheesham wood, known for its strength and durability, as well as its resistance to the passing of time, fluctuations in temperature and even moisture. 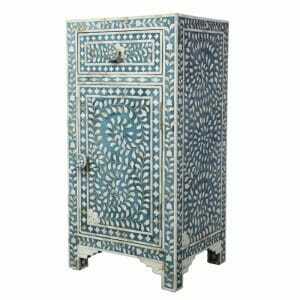 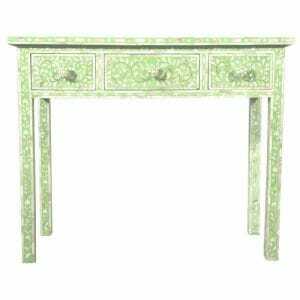 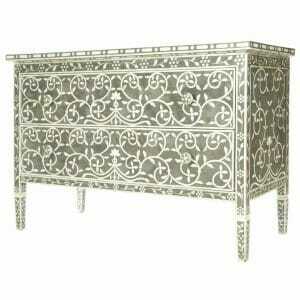 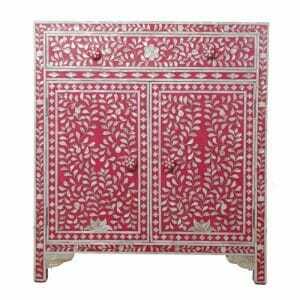 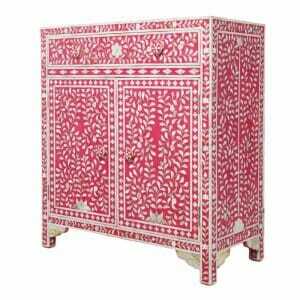 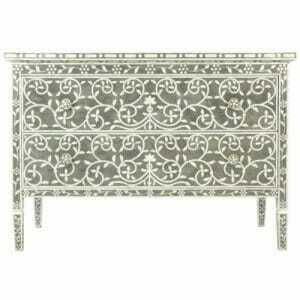 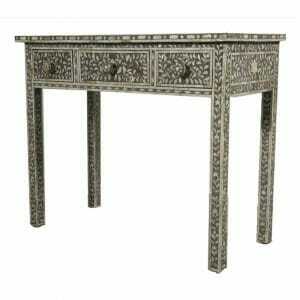 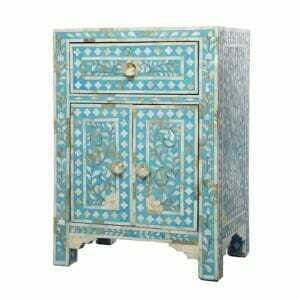 When you have a large piece of mother of pearl furniture in the room – say an Indian cupboard or a chest of drawers, you can place a mother of pearl mirror opposite or nearby, for the simplest way of creating a cohesive dialogue in style, introducing the detailed patterning of the orient into a modern-look room, so that it fits and flows. 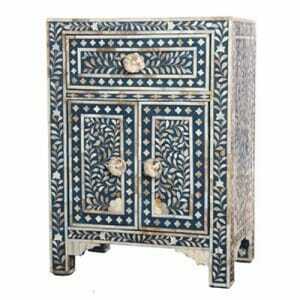 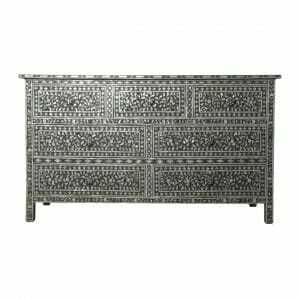 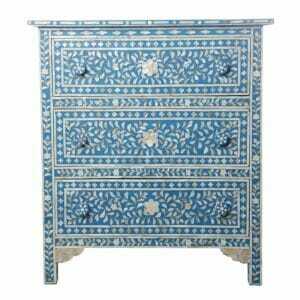 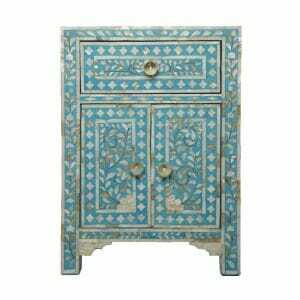 Have a look at our inlay furniture and see if the idea of an Indian influenced bedroom or oriental whispers in the living room are what you might be looking for. 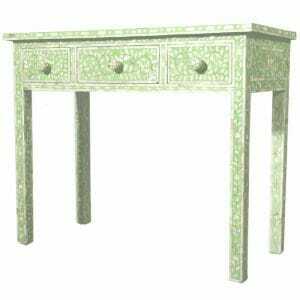 Anything you see that might be needed in different measurements, do just ask. 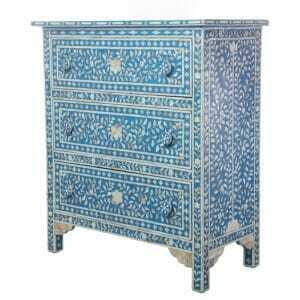 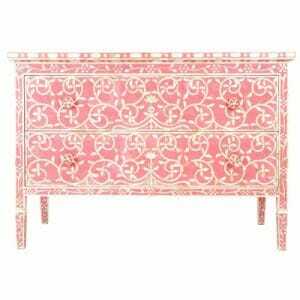 All pieces can be made to your exact specifications, in a wide range of colours and patterns. 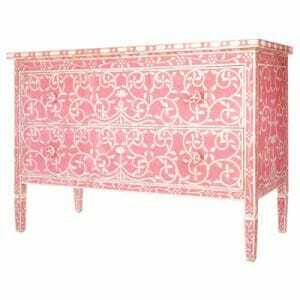 Bespoke orders can be made at no extra cost and we are always happy to help you find that perfect fit for your brand new room.